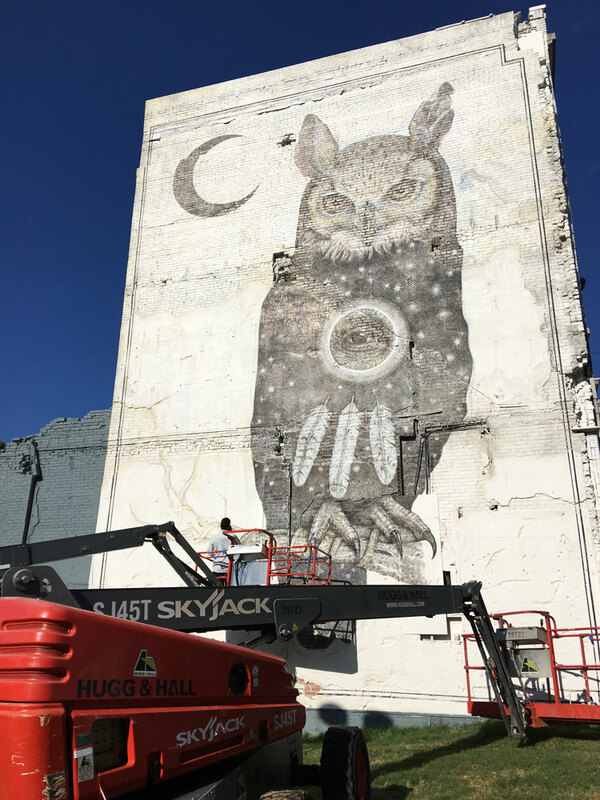 Artist Alexis Diaz works on Wednesday to complete his large mural on the east-facing wall of the former Mountain Inn building at the corner of Center Street and College Avenue in Fayetteville. 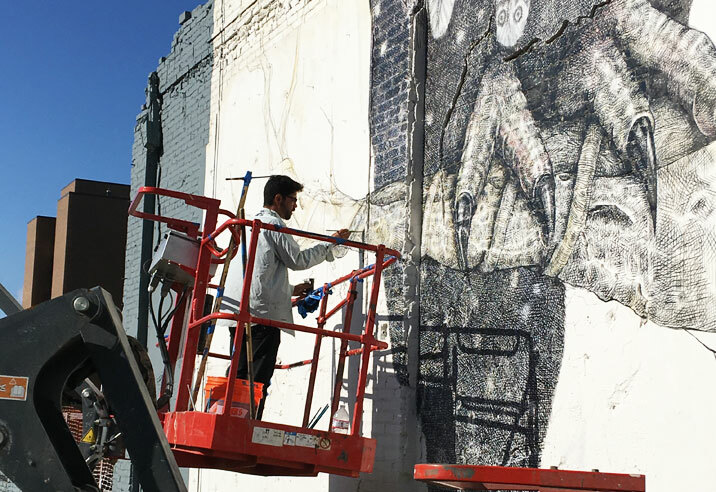 Puetro Rican artist Alexis Diaz is putting the finishing touches on his mural project on the former Mountain Inn building in downtown Fayetteville. Diaz said he expects to finish painting the project by around noon today. The mural is located at the corner of Center Street and College Avenue, on the east-facing wall of the building that also houses Damgoode Pies and Petra Cafe. The design depicts an owl perched on a tree branch beneath a crescent moon, with an eye encapsulated in a circle near the center of the owls body, and three feathers hanging below the circled eye. The colors of the mural are muted, with a palette made up of shades of black and gray. Diaz is one of several artists selected to participate in this year’s ‘The Unexpected’ street art festival. 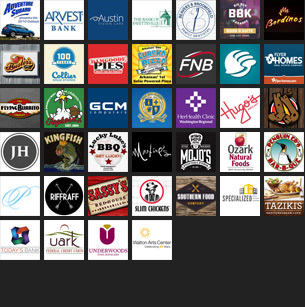 The week-long event debuted last fall in Fort Smith as part of a local initiative to create excitement for the redevelopment of the downtown area. It included the creation of 11 murals painted by international artists on various buildings, and while the event was considered to be a local success, the work of the seven world-renowned artists brought national and international attention to the city. Other muralists announced for this year’s festival include Okuda San Miguel, Guido Van Helten, Jaz, Pastel, Faith 47, Bordalo II, Cyrcle and returning artists D*Face and Maser. For more information about the project, visit unexpectedfs.com.